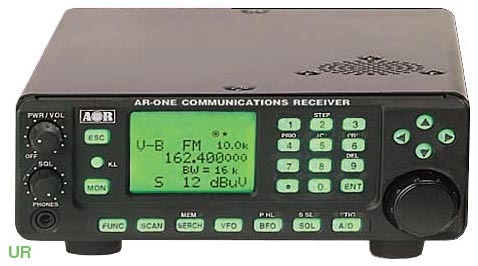 The AOR AR-ONE is a professional wideband communications receiver covering 10 kHz to 3.3 GHz in AM, FM, NFM, WFM, LSB, USB, CW and DATA modes. It provides laboratory grade stability of 0.1 PPM 14° ~ 122°F (-10° ~ 50°C) and 1 Hz frequency display. It is optimized for surveillance and monitoring applications. 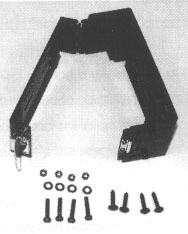 The AR-ONE is designed for computer controlled operation and up to 99 receivers can be controlled by a single PC. (Software not supplied). Other advance features include: ten VFOs and 1000 memories (10x100), attenuator and preamp. Scan and search with pass and delay are fully supported. 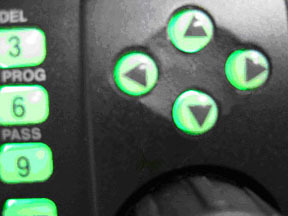 Many parameters are settable via the configuration menu and using the arrow keys. The rear panel features two RS232 ports, multi-IF outputs (455 kHz and 10.7 MHz) and N type antenna input jack. The compact size of this radio is conducive to mobile or fixed applications. Includes Owner's Manual, 120 AC 60 Hz power supply and DC power cord. Click here to view color brochure [PDF 166k]. One year AOR USA manufacturer's limited warranty. The AOR AR-ONE models can be purchased for government or for export only. These special order items are not available via on-line ordering.